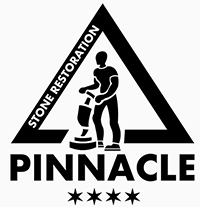 Pinnacle Stone Restoration provides professional stone restoration and maintenance services for residential and commercial properties in great Chicago Metropolitan Areas. Using the best of the techniques and State-of-the art equipment and products, we restore your marble, granite and other natural stone to its original appearance. 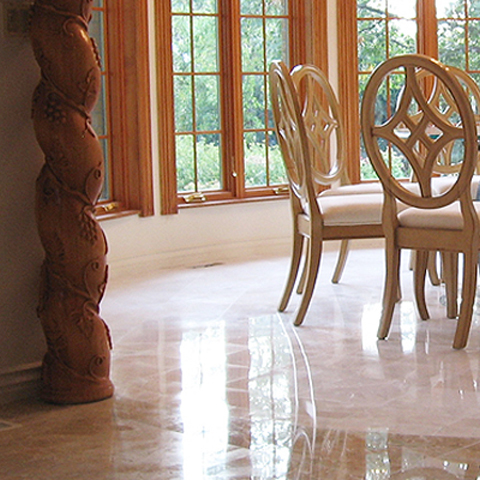 We specialize in services ranging from performing routine polishing and sealing of your marble, granite and all natural stone floors, shower walls and counter tops to complete restoration projects including lippage removal, grinding, honing and polishing. Natural stone reflects light and does not need topical coating or wax to achieve this desired finish. It only needs a series of diamond greets used in the proper order by a master technician who is experienced in their use. We have the experience and technical knowledge to identify and solve stone issues including scratched, etched or water marked stone. Because not all jobs are the same we offer a bespoke service that is designed to deal with almost all difficulties that you may have with your stone. The price often depends upon your preferences, condition of the stone and type of problem. We of course will provide a quotation valid for the duration of the works. We carry full liability and workers compensation insurance on all jobs. Is it ok generally to put hot things on our Granite or other stone countertops ? Although Granite worktops and Quartz worktops are generally very durable, in extreme cases damage has been caused by heat transfer causing color loss or blooming. Therefore it is always a good idea to use heat resistant mats under hot pans or dishes. What should I do if I spill liquids or oils on my stone countertop or flooring? I have a stubborn oil stain on my countertop can I use cream cleaner to remove it?